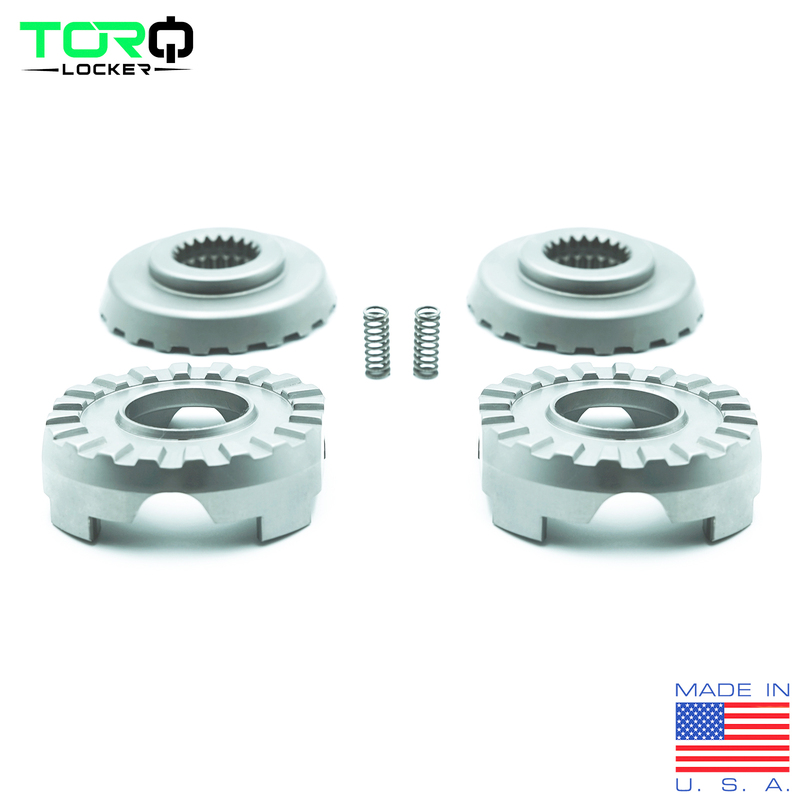 The TORQ Locker is the most advanced, strongest, highest quality automatic locking differential on the planet, proven in the most extreme vehicles from hard-core Rock Crawling, racing the King of the Hammers, Rock Bouncing, Sand Dunes and Mud Drags. To back this all up, Torq-Masters Industries offers an unprecedented 4 year warranty on the TORQ Locker with no tire size, horsepower limits or loopholes. Torq-Masters Industries is committed to building the highest quality locking differentials possible. To be the best, we build with the best, TORQ Locker is 100 percent Made in the USA with 100 percent USA raw materials. Creates true 4WD by replacing stock spider gears in the differential. Easiest Locker on the market to install, no spacers, no dowel pins, no cables, air or electrical lines. The machined Key-Way design of the Cam gears can't shear, ever. To build the TORQ Locker, Torq-Masters Industries demands the highest quality control standards, protocol and materials. 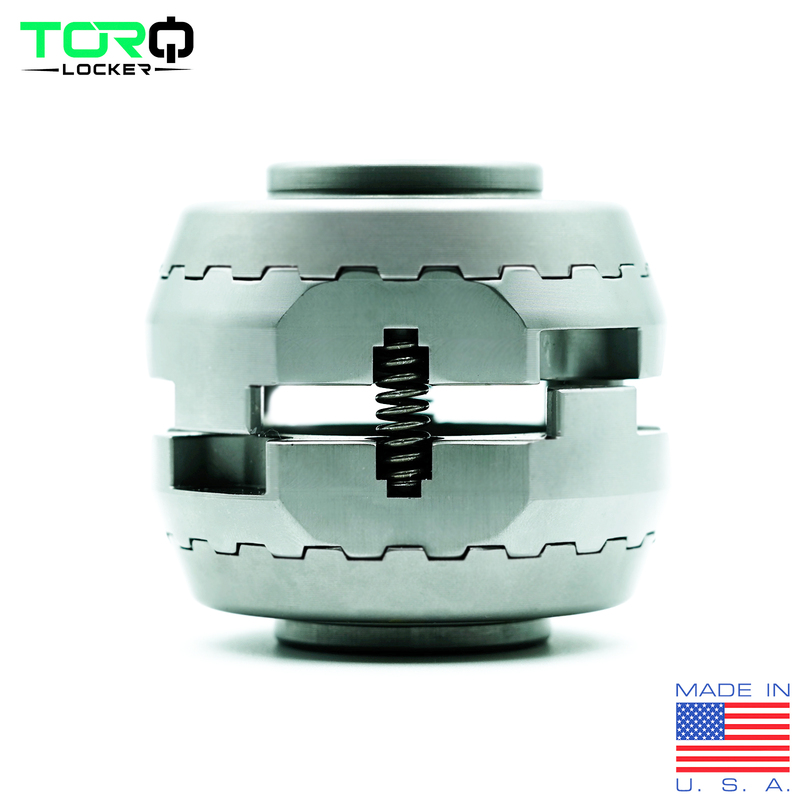 The TORQ Locker is CNC Machined from USA made 9310 steel alloy for maximum durability and long life using their proprietary manufacturing processes in an ISO 9001 certified facility in Rochester NY. 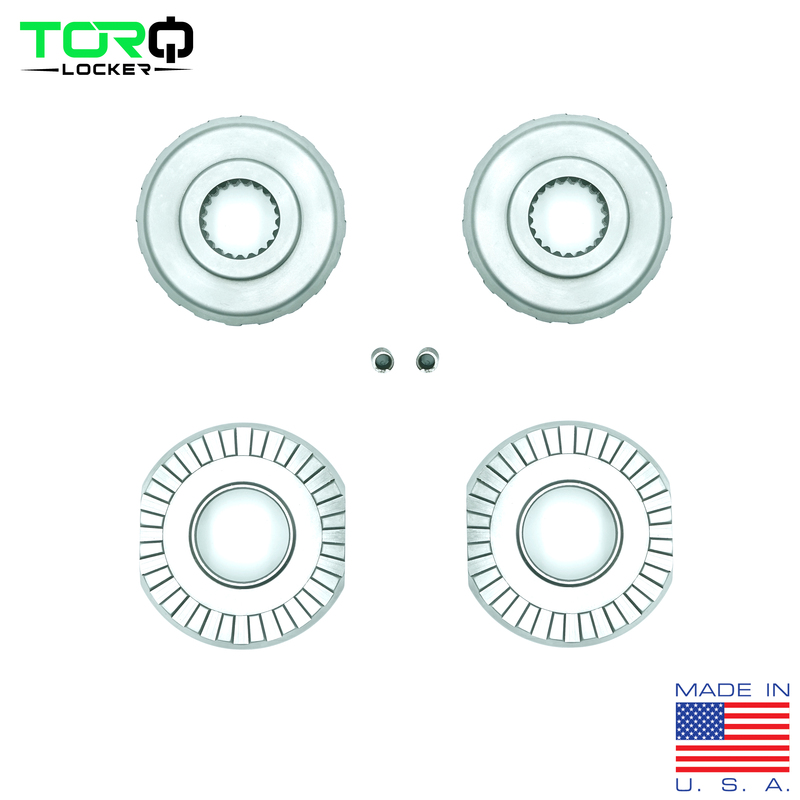 Locker components are then heat treated with proprietary procedures in a TS16949 certified facility with 100 percent quality audits utilizing electron microscopy testing. Quality control of this caliber is very rare in the Aftermarket Off-Road Industry, but Torq-Masters goes the extra mile to build the best, because you deserve the best. The 700 comes with a factory locking option external to the differential. In case of failure, or for a more robust differential the TORQ Locker can be installed. Q: Do I have to make any measurements? A: Yes - see the install manual for more info. Q: When in 2WD what affect does the locker have? Is there any difference from stock in simply having the locker installed when in 2WD? Q: The cutout for the cross pin in the Cam Gear looks loose. A: That’s correct, this is by design. For the Locker to operate correctly, the Cam Gear must corkscrew about the cross pin, this drives the gears into the locked position. Q: I can move one tire/ or the driveshaft, back and forth a quarter of a turn before the locker engages. A: This is normal locker operation. The TORQ Locker™ adds backlash to the drivetrain. Q: Does the TORQ Locker™ ever disengage? A: The TORQ Locker™ never technically disengages, but it does allow for wheel spin differentiation so you can turn and steer the vehicle. The Locker achieves wheel speed differentiation through ratcheting. A slight audible click maybe noticeable at low speeds, this is an indication of the locker ratcheting. Q: Where is the TORQ Locker™ made? A: The TORQ Locker™ is made 100% in the USA from USA made raw materials. Our manufacturing facility is in Rochester NY. Q: What is the Warranty on the TORQ Locker™? A: The TORQ Locker™ has a 4 year warranty with no tire size or horsepower limitations. The warranty does not cover damage to the locker from driveline component failures such as broken axle shafts or other differential failures. Q: Do I need any special Gear Oil? A: No, you can use your manufacturer’s recommended gear oil. Q: Will the TORQ Locker™ break my axle shafts? A: The TORQ Locker™ will allow you to drive into the most extreme terrain, this extreme terrain puts more strain on your drivetrain and because of this additional strain, you could break driveline components. With modified suspensions, make sure to keep any eye on your axle shafts look to see if the axle shafts are sliding out of the differential from too much suspension droop. If you see this, add suspension limit straps.